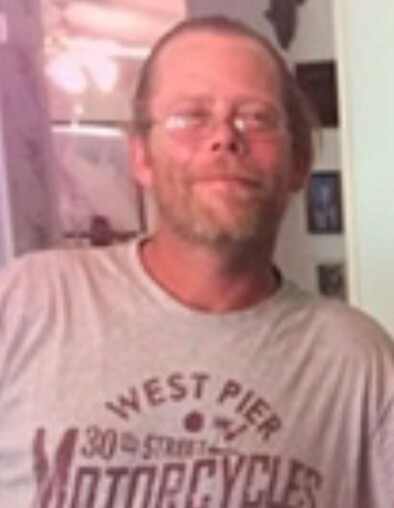 Joseph "Joey" Anthony Norris, 45, of Charlotte passed away March 30, 2019 at Atrium Health in Charlotte. Joey was born in Augusta, Ga on September 17, 1973 to John and Mary Kushinsky Norris. Joey was a mechanic and loved "tinkering" on cars and trucks. In his spare time, he enjoyed fishing and watching NASCAR. But if you knew Joey, then you knew his obvious his devoted love for the UNC Tarheels and Chicago Bears. In addition to his parents, Joey is survived by his children, Audrey Persons, Samatha Gwynn, Jacob Norris, and Chloe Norris; their mother, Patricia Norris; brother, Mike Norris; niece, Emily Norris; and 5 grandchildren. A funeral service will be held Wednesday, April 3, 2019 at 11:00 a.m. at Liberty Baptist Church, 3000 Sam Wilson Rd., Charlotte, with Dr. Gary Berry officiating. Interment will follow at Forest Lawn Cemetery, Charlotte. Visitation will be held Tuesday, April 2, 2019 from 6:00-9:00 p.m. also at Liberty Baptist Church. In lieu of flowers, memorials may be made to Liberty Baptist Church Bus Ministry, 3000 Sam Wilson Rd., Charlotte, NC 28214.